I’ll admit, though, that installation is a bit tricky. As the installation notes indicate, you must first download and install SIMBL (which has a normal installer). Get SIMBL. SIMBL is a prerequisite for many plug-ins, so if you plan to really modify Safari, you’ll need to install it anyway. Once SIMBL is installed, you simply drag the SafariStand.bundle file into the /Library/Application Support/SIMBL/Plugins folder and then restart Safari. Voila! Some websites are absolutely obnoxious when it comes to advertising. They may have ads covering every free square inch of sites. If this bothers you, there are several plug-ins you can use in Safari, since only Firefox has AdBlock Plus. One way to sync and share bookmarks is to use MobileMe. This is great because you can have the bookmarks sync up to five machines’ worth of bookmarks. There are two problems with this, though: MobileMe requires a yearly subscription, and there’s no way to access these bookmarks from Windows computers or other machines you can’t sync with your MobileMe account. Luckily, there is a solution: DeliciousSafari. If you don’t already have a del.icio.us account, you’ll be able to sign up for a free account at the Delicious website. 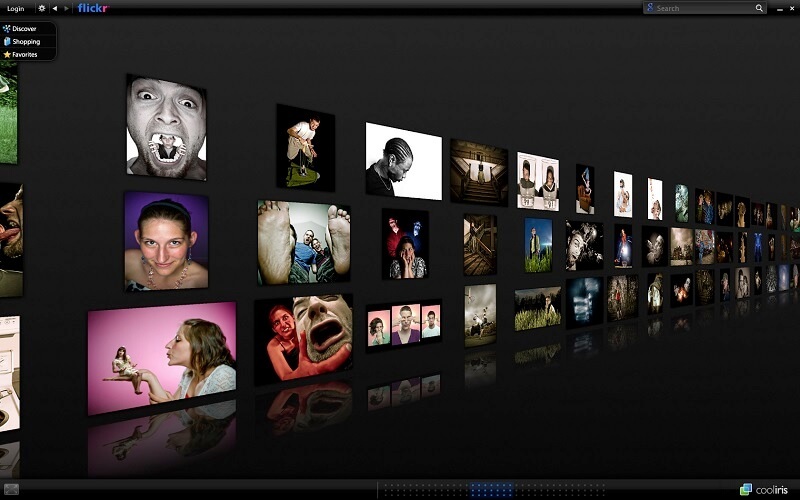 You can bookmark any pages you like through this account, and the data is stored online. What’s great about this is that you can install DeliciousSafari on as many machines as you like, and when you log in, the bookmarks will be synced. If you go to a Windows machine, you can still access your bookmarks simply by logging into the Delicious website instead. Thus, your bookmarks truly follow you wherever you go. Here’s a screen shot of Delicious Safari, and as you can see, adding bookmarks looks nearly identical to the way you normally would in Safari. Ah, GreaseMonkey. It’s an ever popular scripting add-on for Firefox that lets users with scripting knowledge take even more control of their browser. There’s a similar add-on for Safari called Creammonkey. While it can be difficult to find scripts to install, I’d suggest heading over to userscripts.org where there are currently 11 scripts available. One thing I’ve always been jealous of is that Firefox’s search bar can search any number of sites, whereas the Safari search defaults to Google. Even Safari on the iPhone lets you pick between Google and Yahoo. Enter Inquisitor, the beautiful search. 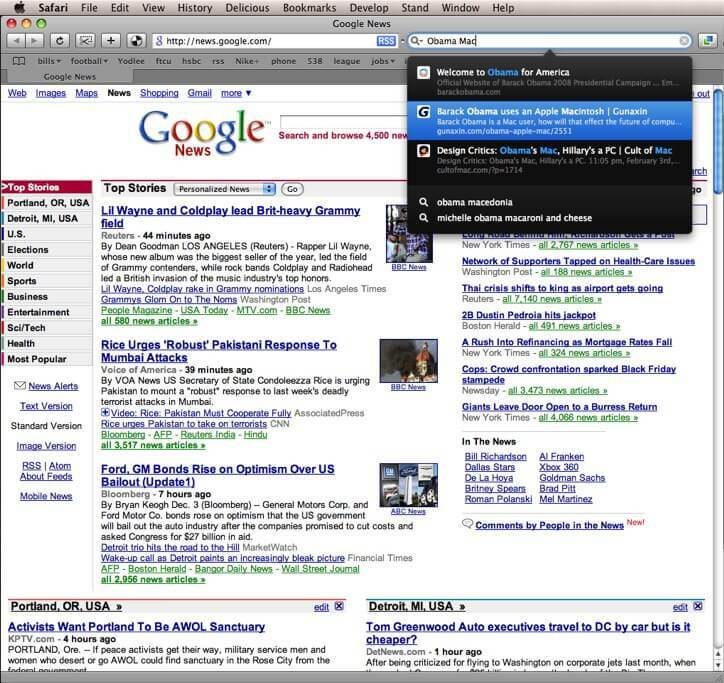 When you start typing in the Safari search box, Inquisitor instantly finds web results without you having to hit enter. It can auto-complete your words and add new search engines through keyboard shortcuts. I hope these plug-ins will get you started on your road to customizing Safari. 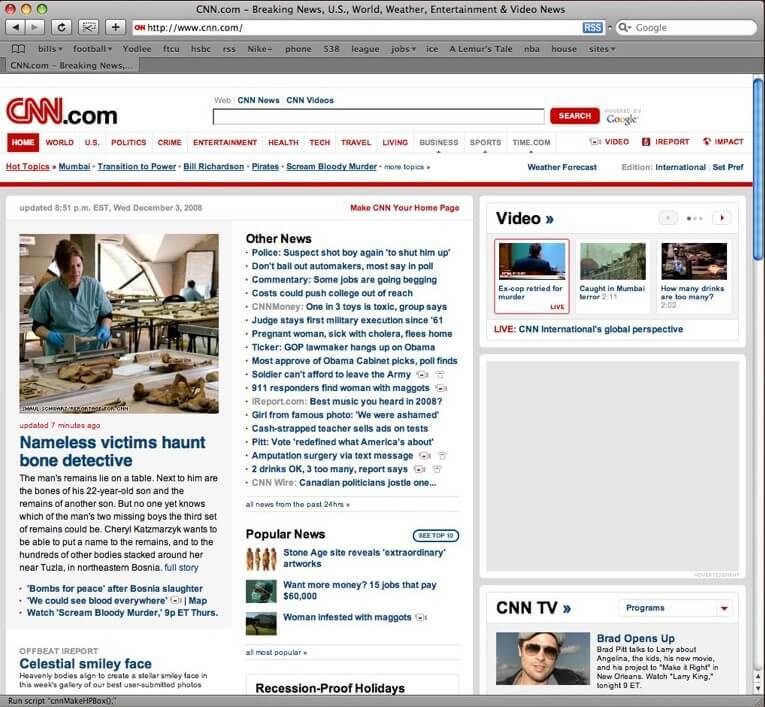 I would be remiss if I did not mention the king of all Safari plug-in sites, Pimp My Safari. Check it out to discover even more ways to modify Apple’s browser. One other thing worth doing is checking out WebKit. 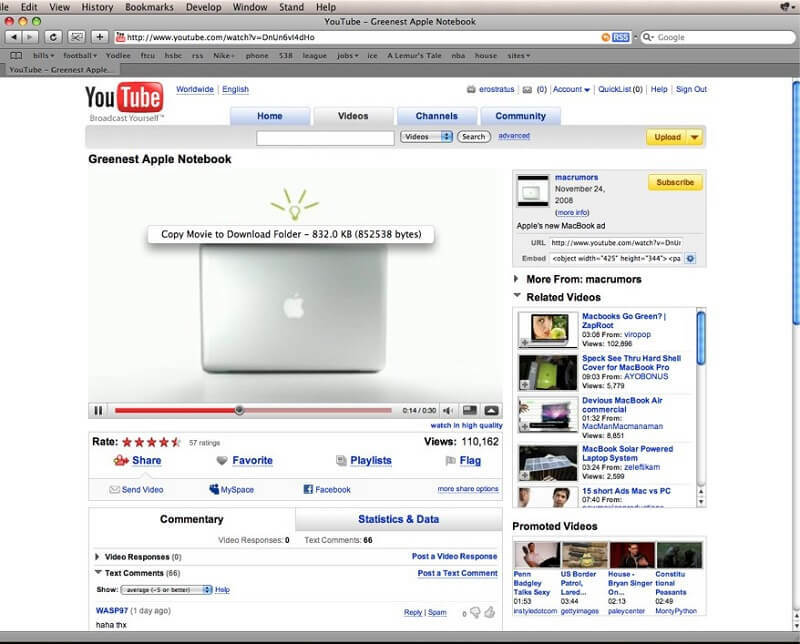 Apple’s Safari is based on the KHTML engine, which is open source. While Apple releases updates to Safari sparingly, WebKit gets updated every night (in what are called nightly builds). Thus, if you want to see the latest and greatest advances in Safari before a new version gets officially released, download one of the WebKit nightlies. It’ll open right up as though it’s your regular Safari, complete with all of your bookmarks and settings. Have any experience using these plug-ins? Do you have others you’d recommend? Tell others about your experiences in the comments section.